COMMENT | Persatuan Rapat Malaysia made this statement two years ago when the then Malaysian government was intending to bring in 1.5 million Bangladeshi workers to solve whatever problem we had with cheap labour that year. This was shelved for whatever reason, and Malaysians went on with their blissful lives free from the insidious crimes perpetrated by foreign workers. Go to certain sections of Kuala Lumpur (a city built by "pendatangs" then and now) and you would be a foreigner in this country. This, of course, is not "their" fault. The anti-pendatang narratives of the former regime and the dodgy post-racial narratives of Pakatan Harapan mean that nobody is interested in tackling our dependence on foreign labour in anything but xenophobic narratives and strategies. 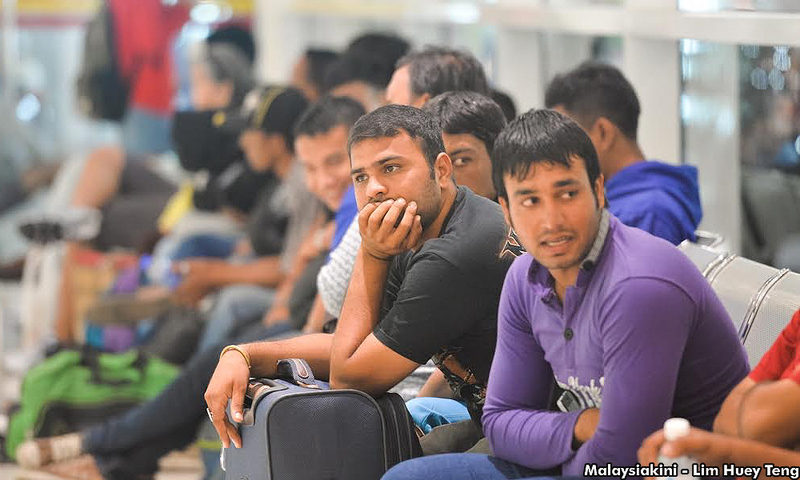 Acclaimed Malaysian author Tash Aw, writing an opinion piece for the New York Times two years ago, rightly pointed out that crimes involving foreign workers – citing government statistics of 2013 – only accounted for one percent of the national average. This does not take into account the crimes committed by people who traffic in cheap labour or the apathy of the general public of the criminal conditions foreign workers are exposed to while helping build this country or provide us with whatever entitlements we think we deserve.